Our rustic Eddie metal shelf brackets are the perfect starting point for creating industrial style shelving. Use in kitchens, above fireplaces, or anywhere you are looking to create beautiful vintage effect shelves. Our EDDIE metal shelf brackets are rugged, burly and strong. Everything you need to create gorgeous, industrial shelving. 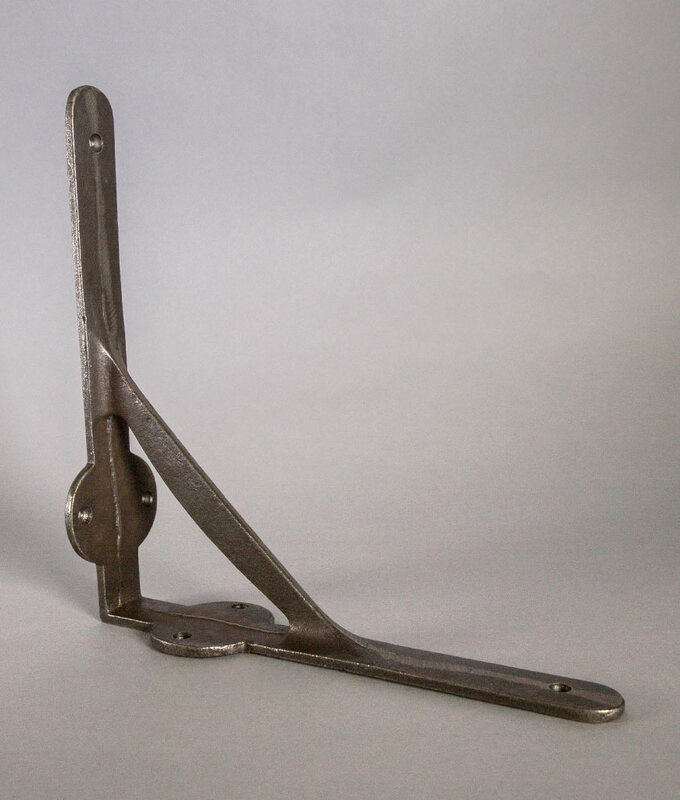 This macho cast iron bracket is named after Eddie Hall (aka The Beast), one of Europe’s strongest men and just like its namesake who holds the world record for lifting 216kg above his head, is perfect for holding heavy duty shelving. 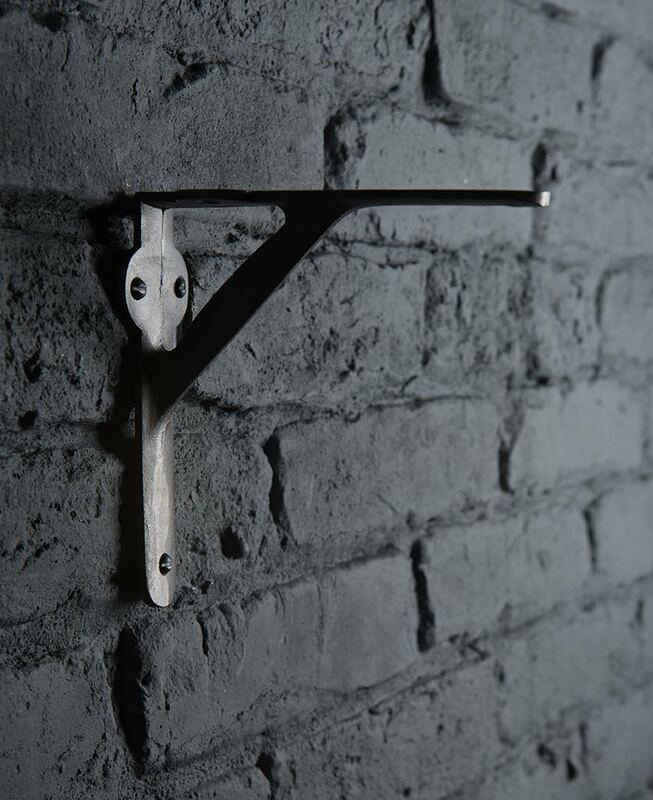 We love this strapping wall bracket with rugged materials like reclaimed wood, railway sleepers and driftwood. But sheets of metal work beautifully too. 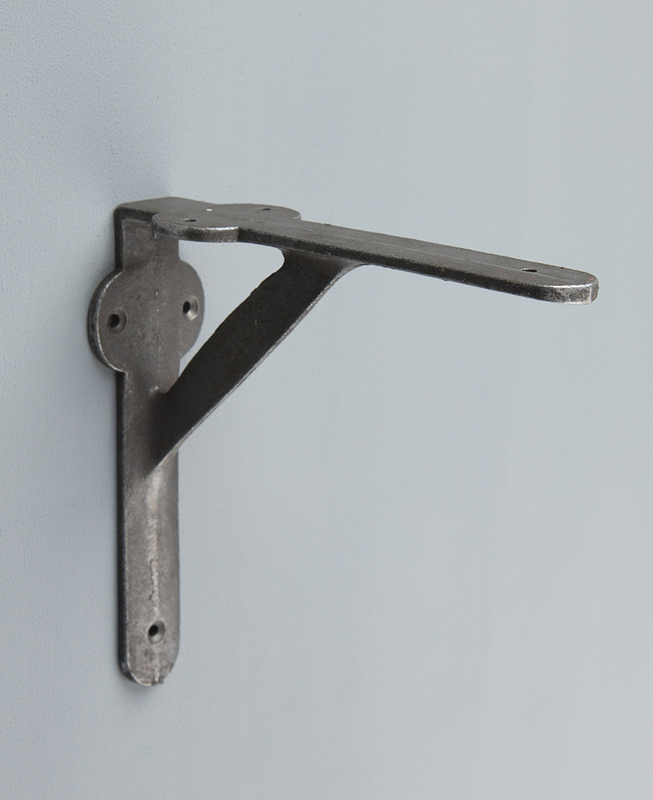 Cast iron wall brackets work in any interior, especially in heritage or industrially styled rooms. Place upon exposed brick or monochromatic walls in kitchens, living areas, offices or even above fireplaces as a shelf to create statement wall mounted shelves. For an unpolished look coordinate with smaller brackets and shelves installed at random heights to create an asymmetrical vibe. 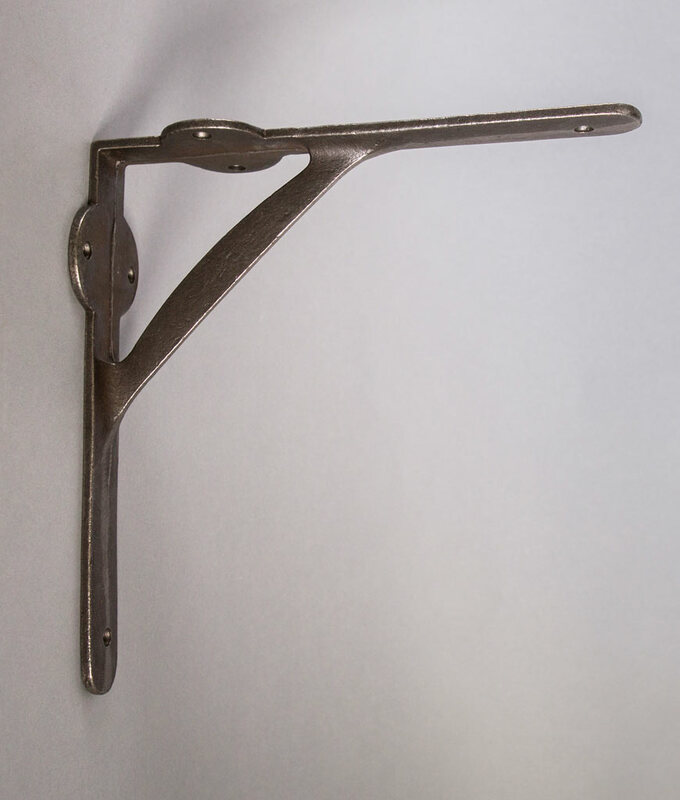 Each one of these unique metal shelf brackets features authentic tooling marks, and even slight rusting on their surface, which enhances their industrial appearance. You won’t find any two the same. Coordinate with our hardware range. A fab collection of cast iron door handles, drawer knobs and hairpin legs. Dimensions: Large: depth 210mm x width 210mm Small: depth 158mm x width 158mm.